OROS, as a test and measurement specialist, has been offering dedicated solutions for structural dynamics for many years. Resulting from our strong experience in this field, our instruments are the right answer for ODS, EMA or OMA applications. (Operating Deflection Shapes, Experimental Modal Analysis or Operational Modal Analysis). But most often the scope of tests is wider than experimental. It’s essential to propose a solution for simulation. We always offer high quality products to our customers. That’s why we work in partnership with Dynamic Design Solutions (DDS) for simulation issues. DDS develops FEMtools, the multi-functional, cross-platform and solver-independent family of CAE (Computer Aided Engineering) software tools. It provides analysis and scripting solutions for different types of applications. 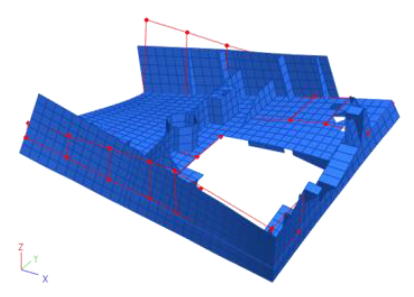 Verification, validation and updating of finite element simulation models are a major application area of FEMtools. The software is used in several industries such as automotive, aerospace, power generation, civil engineering as well as consultants, universities and research centers. Used in direct link with OROS instruments, the modal test planning and FE-test correlation analysis can provide a real added value in your process. If you want to know more, please contact us.